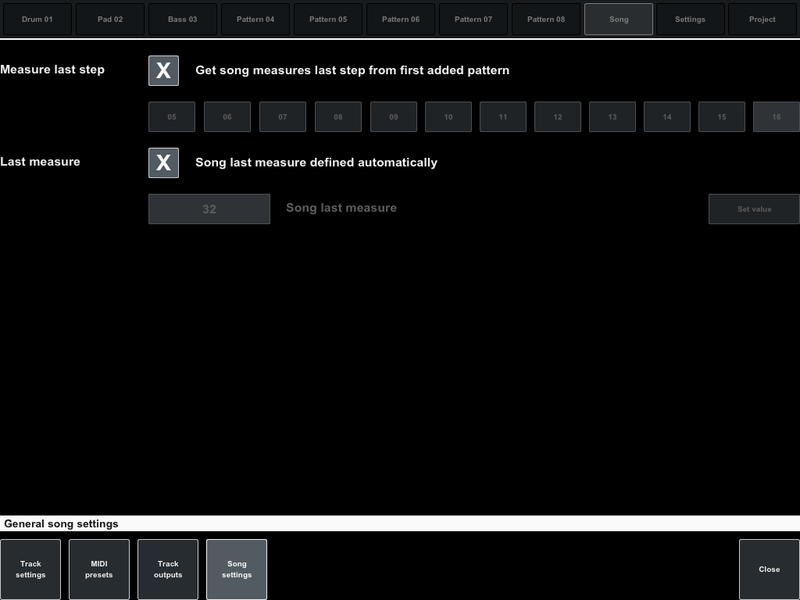 Last step option allows set length of measures to define Time signature other than 4/4. 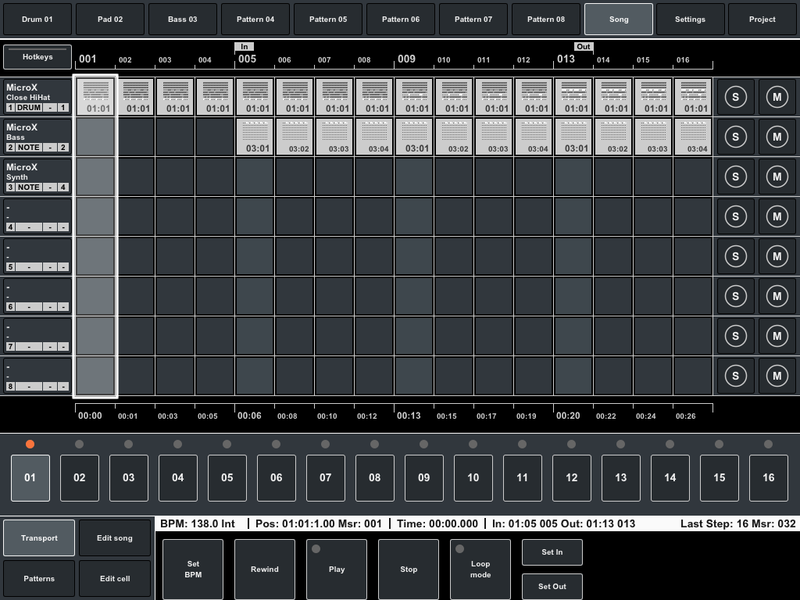 For song possible to set In/Out markers and use loop playback mode. 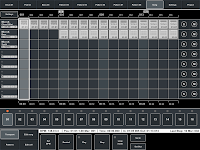 MIDI Pattern Sequencer manual was updated. 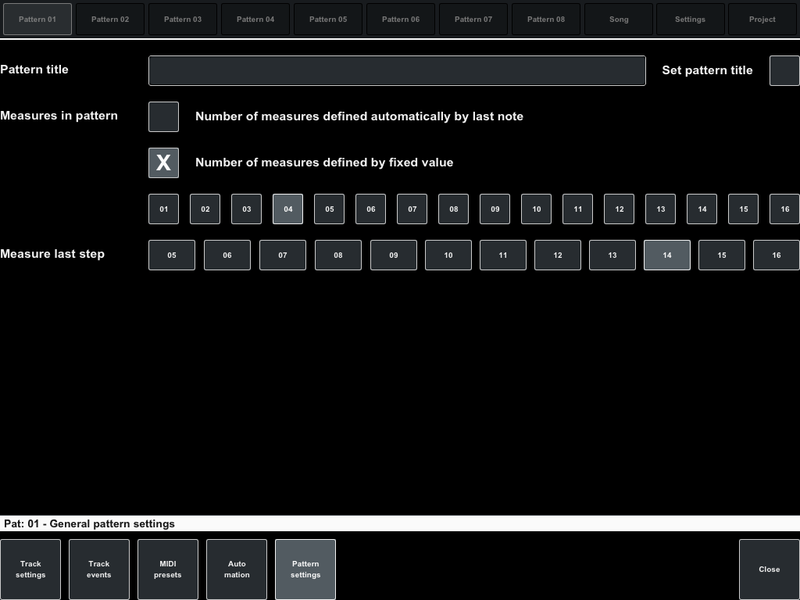 Know more about features for experiments with rhythmic patterns.